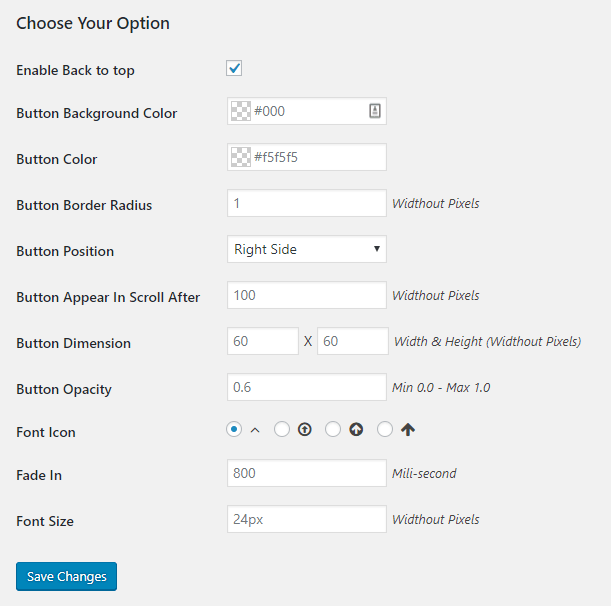 AR Back 2 Top is a small yet configurable WordPress back to top plugin that smoothly scrolls the long page to the top when needed. Auto show/hide depending on the scroll position. 1. Search for the AR Back To Top on the Add Plugins page after you login to the admin panel. 2. Install & activate the plugin. 3. 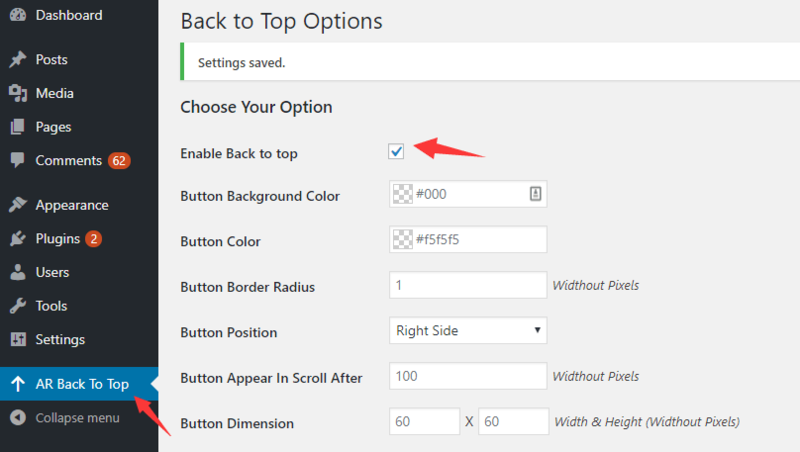 Go to the plugin settings page to enable the AR Back To Top. Done.